Producing on-location doesn’t mean leaving the comforts of the control room behind. The TriCaster 460 CS, part of the complete TriCaster 460 solution and available as an optional add-on, lets you maintain a small production footprint without sacrificing manual control. 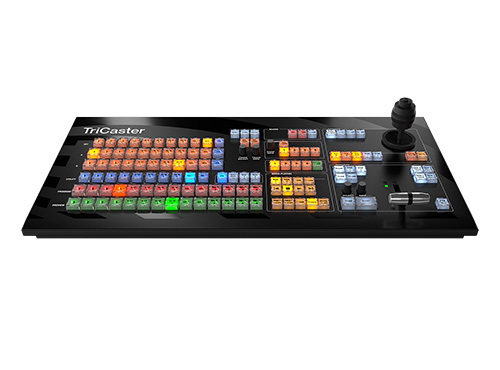 With an intuitive layout, familiar live production controls and compact frame, TriCaster 460 CS is a perfect fit for mobile production or tight spaces. O TriCaster 460 CS também é compatível com os modelos TriCaster 455, 450 EXTREME e 450.